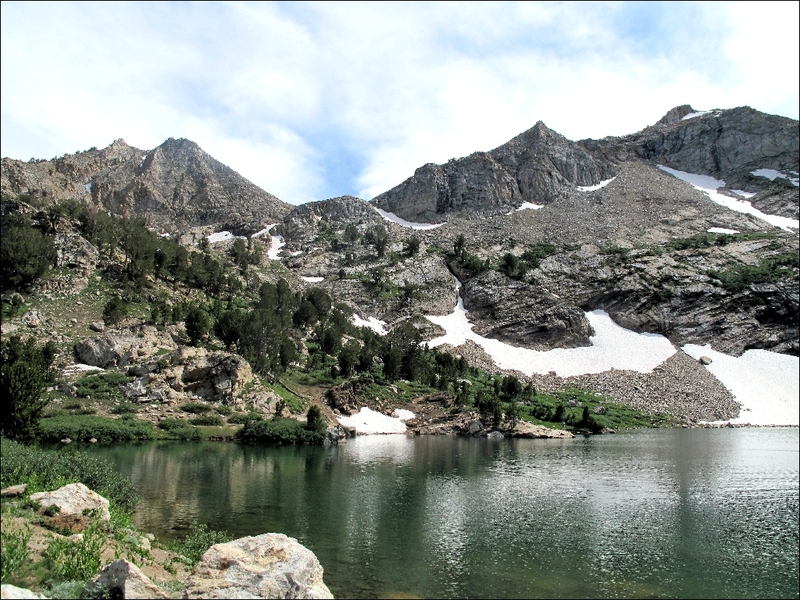 Lamoille Lake – the view we were rewarded with after our intense hike! We decided to take a drive to the Humbolt National Forest today – golf course was hosting a tournament so we will play golf later this week if we can get on. I was looking through a travel book that Traci’s friend Kindra gave us for our trip and it had a scenic drive that was very close to our place here in Elko. We took off about noon, and headed up to the Lamoille Canyon Scenic Byway. This canyon is huge. It feels like Glacier National Park in Montana, only a bit smaller. They call it the Grand Canyon of Nevada. It is extremely deep, with walls that must be at least 3-4,000 feet around us, very impressive. We drove to the end of the canyon, about 12 miles, passing several lookouts and a campground along the way. (The Thomas Canyon Campground looked really nice with very private sites and water running through the entire campground…for future reference). We followed our trail back through the snow and relocated the trail we came up. It was much easier to follow this very well defined trail back to the car. When we got to the parking lot, we saw that there was a sign for the horse trail that we must have missed when we arrived. 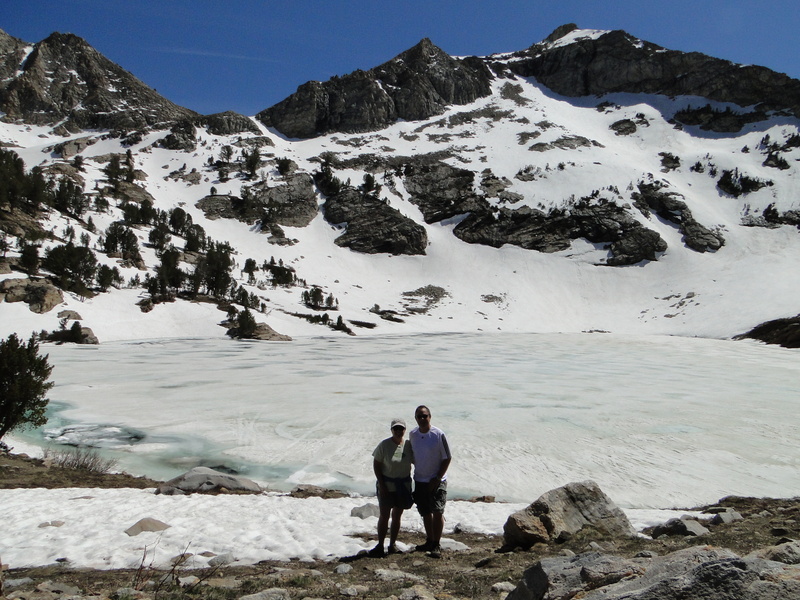 We looked back at the legend on the map, and we clearly hiked to Lamoille Lake, up at almost the 9,740-foot level! Holy smokes – that is why we were so tired – there is some thin air up here. We got back to the car and had the celebratory cold beverage, and now my back was killing me! No Advil in the car, so just had to suffer back to the MoHo. Got home and the back is in full inflammation, time for some pizza, good drugs and cold beers before bedtime. The mountain above Mike’s head feeds the lake that we hiked to. 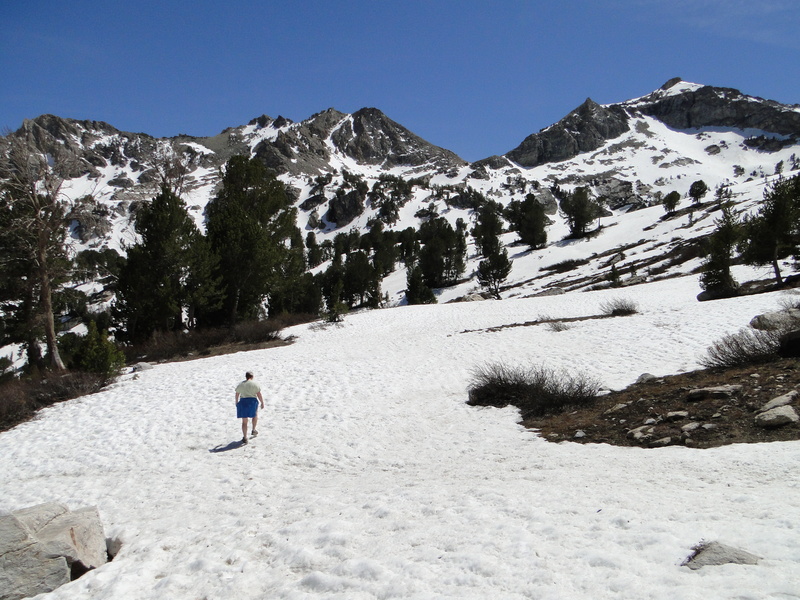 Traci hiking through the snow on the way to lake. If you are interested in more pics, click HERE! 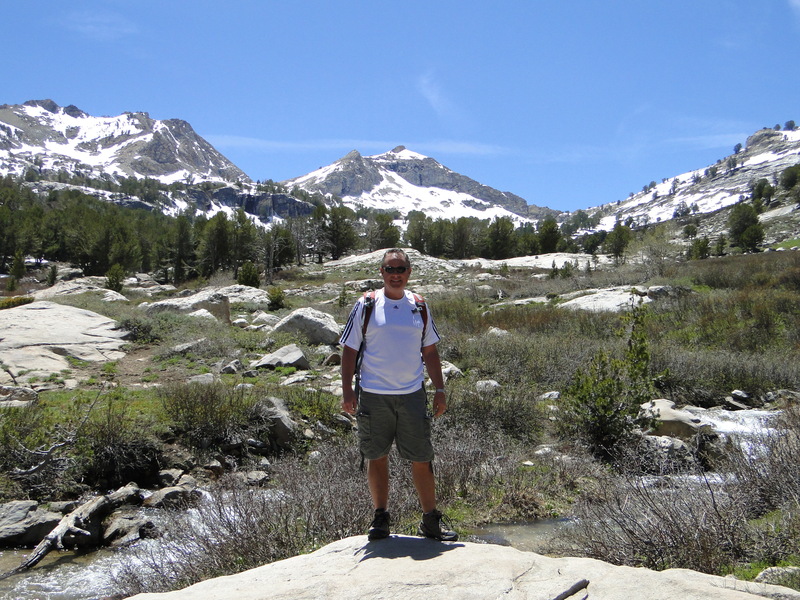 This entry was posted in June 2013 and tagged Elko Nevada, hiking, Humbolt National Forest, Lamoille Canyon, Lamoille Lake on June 5, 2013 by Mike.